While I'm still aiming my work at Harlequin Mills and Boon, and have some revisions pending on my current WIP, I've also been working on a story in a new genre, a time-slip. A romance is still at the core of this story but there is a bigger canvas to paint on, so there is also an historical mystery and an element of crime in my book. To get some guidance in how to write a crime scene, I went on a writing course this last weekend at Lilleshall Hall. The course was entitled Getting away with Murder' and was run by multi-published author Stephen Wade. As it turned out, none of the people booked onto this course was actually writing a crime novel, but books and short stories that had a crime or the potential for one. But that didn't matter; Stephen adapted his programme accordingly and everyone, including me, got such a lot of information and inspiration, and a clearer idea of how to proceed. Focussing on character, plot, settings and scenes, Stephen helped me to reach my goal for the weekend, which was to write a draft crime scene, and also enabled me to view my criminal with much more insight. 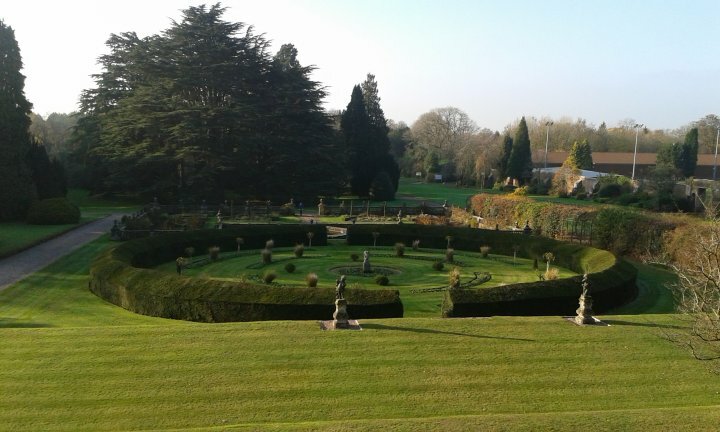 The venue for the course - which also had programmes on romance, poetry and non-fiction - was in lovely Shropshire, one of my favourite counties. 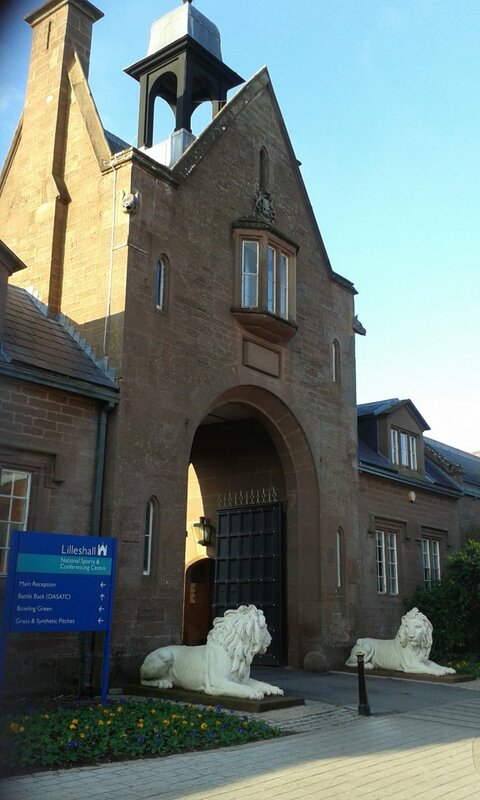 It was originally the demesne of Lilleshall Abbey, a 12th century Augustinian foundation, but after the dissolution of the monasteries, it was granted to the Levenson family, wealthy Wolverhampton wool merchants, in whose hands it remained until World War One. Like many large country estates, Lilleshall suffered greatly as a result of the two world wars and during the interwar period. But unlike many, it re-emerged positively, being sold after WW2 and becoming a recreation centre. It's now a National Sports Centre (in 1966, the England football trained there prior to their World Cup success! ), so as well as we writers, there were dozens of more sporty types there, who made my little foray into the gardens a bit of a stroll in the park! 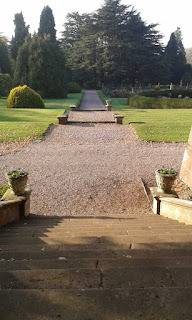 The grounds were huge, though much reduced from their original 30,000 acres, and very lovely, and there was a woodland walk with a nature trail. I only managed to explore a very small part of it but I came across a pet cemetery, with little weathered headstones dating back to 1904 bearing grand sounding names like Czar (a wolfhound) to the more humble Sooty and Frisky. Isn't it nice to know that animals were loved back then as much as they are now!